While the first thing that usually comes to mind when you think of Vegas is going hard, you might also want to consider the fact that Vegas offers some of the most extravagant and luxurious spas ever conceived. 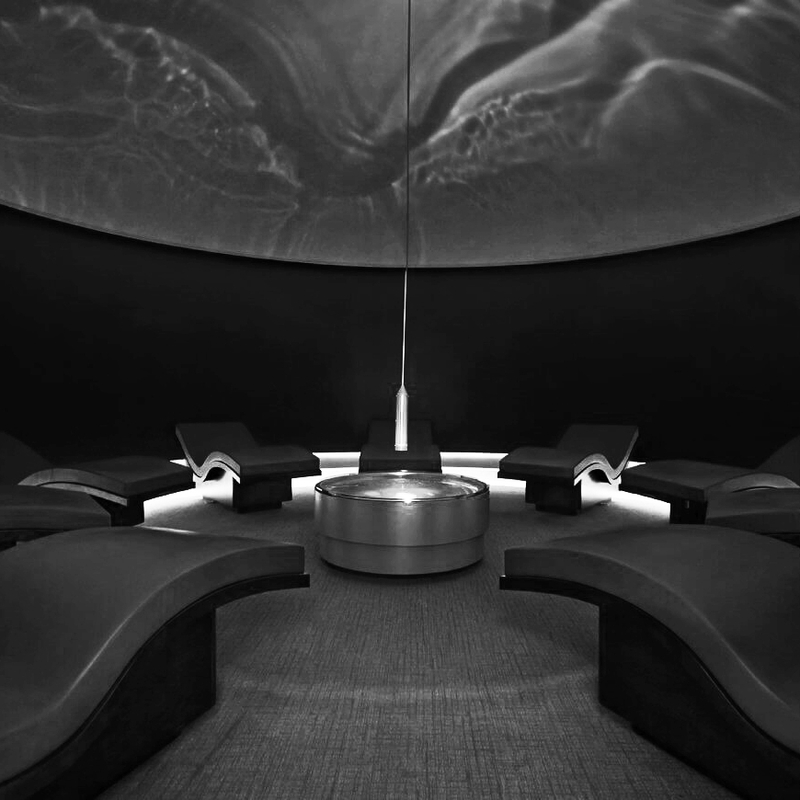 You could surrender yourself to the surprisingly authentic Turkish-bath-style hammam at the Cosmo; or let yourself be transported to Japan via the Shio Salt Room in the Spa at Aria. Whether you want to undo the damage from the night before, or simply recharge your battery, here are some of our favorite spots to completely chill out. This “oasis in the desert” with sandstone halls is like a dreamy shuffle through a slot canyon. The waterfall-accented lounge provides a nice place to rest, or reserve the spa penthouse with its own steam room, side-by-side hydrotherapy tubs, group treatment area, wet bar and living room. Smaller spa suites also have treatment areas, private steam rooms, as well as meditation and lounge areas. We suggest... the new Moroccan Journey which gives you exclusive use of the hammam, an exfoliating cleanse with volcanic black soap and a traditional Kese mitt, a rhassoul clay masque sealed in with pure honey, and use of the eucalyptus steam room, all topped off with a signature Sahra Massage. 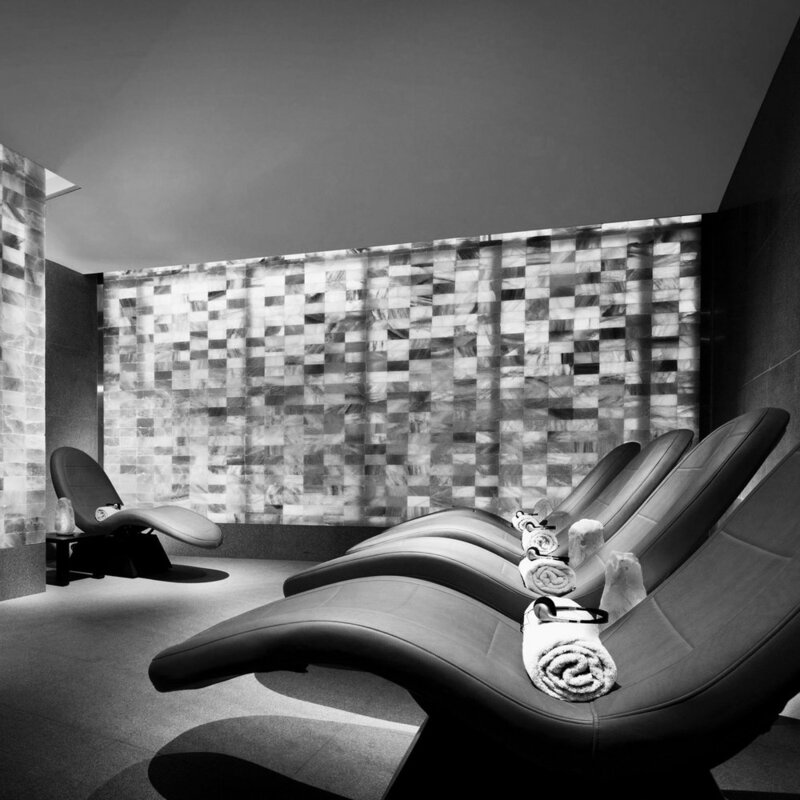 Completely escape the Vegas chaos as you relax in the cavernous space that makes up the Spa at Aria. This Japanese inspired spa offers many special elements and treatments, such as the Shio Salt Room, in which you lie on comfortable lounges and breathe in the therapeutic salt air. If you’re going with your significant other, meet up in the co-ed pool or on the balcony pool lounge, a quiet and serene spot between the men’s and women’s quarters were you can relax and refresh together while gazing out over the resort’s pool scene below. We suggest... or more like, you must try, the heated-stone ganbanyoku beds, which purge toxins and stimulate circulation - and are the only such beds in the United States. Inspired by ancient Roman traditions of relaxation, Qua is a lavish spa accented by smooth stone, dark woods and cascading waterfalls. An abundance of natural light complements the use of water as a natural source of healing and rejuvenation. Along with the opulent Roman Baths, Qua also features a Laconium Room, an Arctic Ice Room (push a button and it snows), and a peaceful tea room. Since Nobu opened its boutique hotel at Caesars, some of the best treatments are from the exclusive Nobu menu, approved by Chef Matsuhisa himself. Make sure to ask for these as they do not appear in the regular spa menu. We suggest... the Mojave Rain Aromatherapy Massage. Inspired by the Native American Traditions of sacred plants, oils and the Four Directions, the treatment begins with a sage smudging before detoxifying and balancing essential oils are massaged into the body. A Qua Spa artisan will then soothe away any remaining tension to leave you feeling peaceful and harmonized. We also suggest... the 90-minute Nagomi Ritual, which begins with a traditional Japanese footbath, includes a full-body massage that incorporates Thai, Balinese and shiatsu massage, and ends in a facial. The Venetian might be best known for its shop-lined canals and gondola rides, but inside its palatial walls is also one of the largest day spas in North America. The Canyon Ranch Spa sprawls out over 134,000 square feet, and you can spend all day (maybe even more) exploring everything it has to on offer. There's the Aquavana hydrothermal circuit (with its own Finnish sauna), a salt grotto, 40-foot climbing wall, two restaurants, two gyms, and more than 90 treatment rooms with services like oxygen facials and stone massages to help melt your gambling-induced tensions away.